A report claims that Zinedine Zidane will promote Andriy Lunin next season by making him Real Madrid's back-up keeper, paving the way for Thibaut Courtois to leave. Real Madrid goalkeeper Keylor Navas says that he wants to remain at the Bernabeu beyond the end of this summer's transfer window. Keylor Navas says that he is willing to leave Real Madrid if he is no longer required following the return of Zinedine Zidane as manager. Summer signing Thibaut Courtois is yet to start since Zidane's return. Zinedine Zidane says that "there will be no debate" about who his first-choice keeper is come the start of next season, amid claims that Thibaut Courtois could be sold. Liverpool harbour interest in Real Madrid goalkeeper Keylor Navas? A report claims that Liverpool may pounce for Keylor Navas should Real Madrid put the goalkeeper up for sale in the summer. Sports Mole provides the team news, predicted lineups and a full preview of Sunday's La Liga clash between Real Madrid and Huesca. Thibaut Courtois sticks up for himself amid a wave of criticism from the Spanish press by insisting that he remains "one of the best" goalkeepers in the world. Gareth Bale is one of five first-team players Real Madrid are looking to offload this summer to bring in further funds for Zinedine Zidane, according to a report. 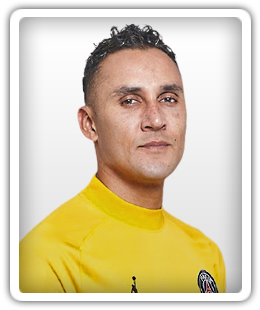 Keylor Navas close to Real Madrid stay? Keylor Navas is reportedly 'close' to deciding to stay at Real Madrid following the return of Zinedine Zidane as manager. Thibaut Courtois reportedly faces an uncertain future at Real Madrid after being told by Zinedine Zidane that his performances have not been good enough. Thibaut Courtois's Real Madrid future in doubt following Zinedine Zidane return? Real Madrid boss Zinedine Zidane may look to offload Thibaut Courtois just a year after the Belgian goalkeeper joined from Chelsea, according to a report. Barcelona book their spot in the final of the 2019 Copa del Rey courtesy of a 3-0 win over Real Madrid in the second leg of their semi-final. Real Madrid drew 1-1 with Barcelona at the Nou Camp in the opening leg of their semi-final clash. Barcelona and Real Madrid play out a 1-1 draw at Camp Nou in the first leg of their Copa del Rey semi-final tie. Real Madrid book their spot in the semi-finals of the Copa del Rey courtesy of a 3-1 win over Girona in the second leg of their quarter-final. Ahead of Thursday's's Copa del Rey tie between Girona and Real Madrid, Sports Mole looks at how Santiago Solari's side could line up at Estadi Montilivi. Sports Mole looks at how Real Madrid could line up in Sunday's La Liga clash with Espanyol. Sports Mole provides the team news, predicted lineups and a full preview of Real Madrid's Copa del Rey clash with Girona. Sports Mole looks at how Real Madrid could line up against Sevilla at the Bernabeu this weekend. Real Madrid book their spot in the quarter-finals of the Copa del Rey despite losing 1-0 at Leganes in the second leg of their last-16 clash. A late free kick from Dani Ceballos earns Real Madrid a 2-1 win over his former club Real Betis in Sunday's La Liga fixture at Benito Villamarin. Real Madrid's third-choice keeper Kiko Casilla is a rumoured transfer target for Championship leaders Leeds United.